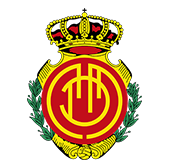 The team of RCD Mallorca of La Liga Genuine has been presented at the Espai IC Serveis of the sport City Antonio Asensio before traveling this Friday to La Coruña, one of the headquarters of the second phase of this competition. The Mallorquinista team will have as rivals Girona, Lugo and Celta de Vigo after competing in the first phase in Tarragona. Maheta Molango, CEO of RCD Mallorca, has thanked the collaboration of the sponsors of the team IC Serveis, Obra Social la Caixa and MasterD and has wished luck for all the players and technical team that will travel to Galicia. The players of the first team Xisco Campos and Salva Sevilla have accompanied the representation of the RCD Mallorca of the Geunine League, as well as Vicente Moreno and Dani Pendin as representatives of the technical staff.